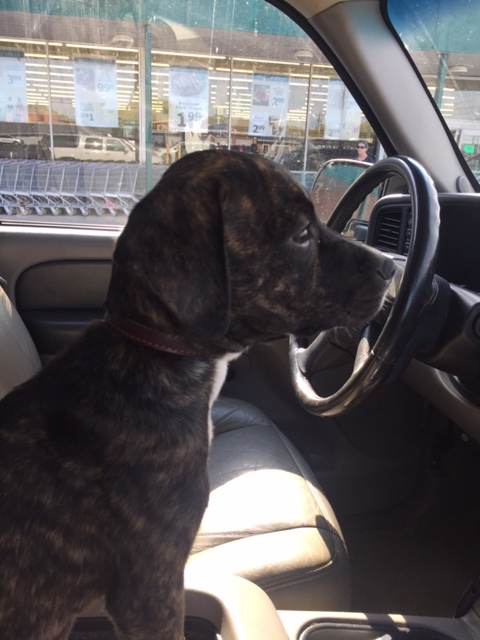 Rascal is a brindle lab-pit mix, approximately 12 weeks old. Rascal has had his puppy shot and Bordetella. Like most puppies, he likes to keep up with the big dogs, likes people, and chases and plays ball. Rascal is the puppy who, along with his mother, was starving, and covered with flea, tick, and fly bites. He only weighed 4 lbs. when we took him in. He’s gained weight and like most labs, very people-friendly and plays ball.